Currently on view at Napoleon, Kris Strawser’s installation “Switch,” accompanied by a thoughtful essay by Nancy Mahl that addresses the social history of the tie. 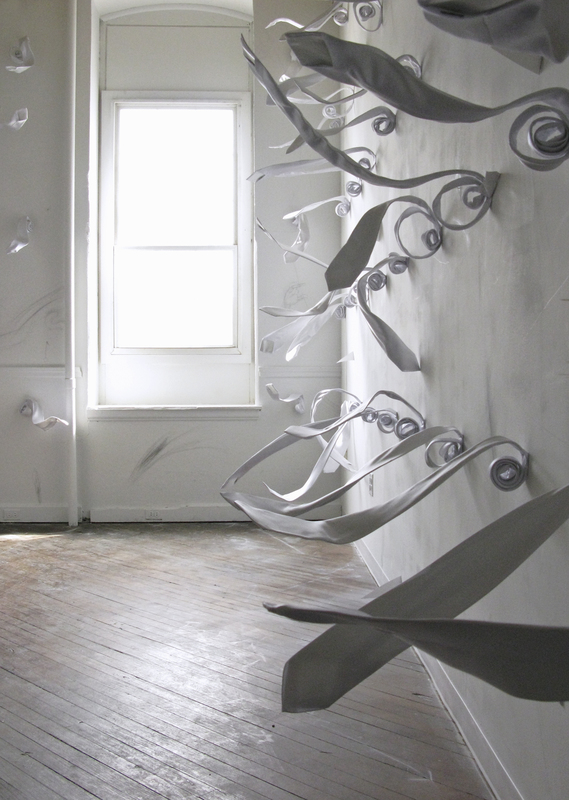 White silk ties stand suspended in motion, paper fragments and bristles emerge from cut-like slits in the wall, like a living surface. 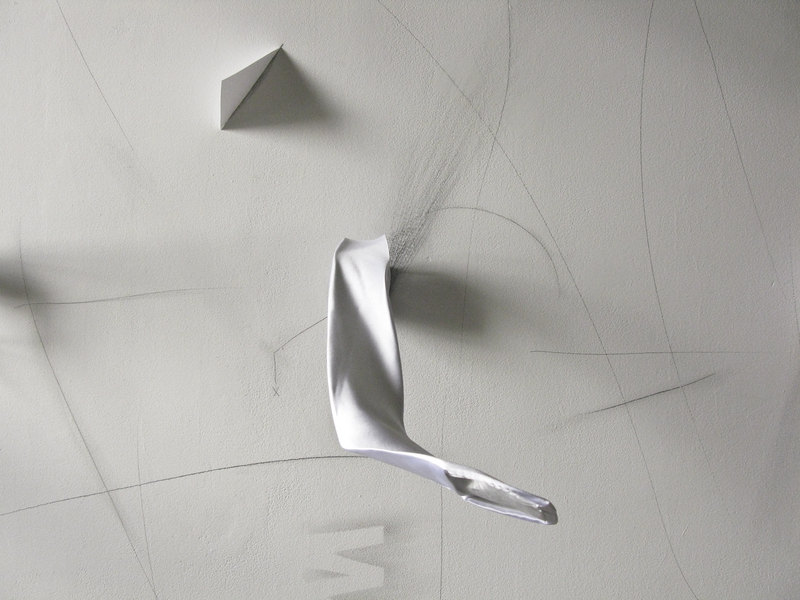 Pencil scrawls of diagrams, arrows, and equations suggest a draftsman’s hand and that a careful geometry is behind everything we see. The essay describes Kris Strawser as an artist who “plays her cards close to the vest” which is reflected in the stillness, repetition, and palette of the materials. But the symbols here are personal and deep, and this restraint intrigues the viewer all the more for it. The exhibit will be up until May 29th.